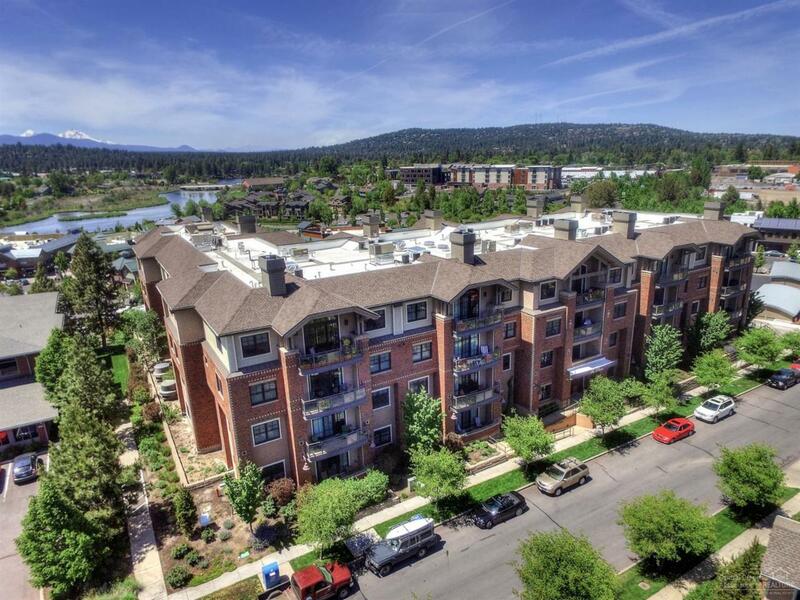 Situated on the bluff in the heart of the Old Mill District, The Plaza is steps from shopping, breweries, scenic hiking and biking trails, concerts at Les Schwab Amphitheater, the Deschutes River, and less than a mile from downtown. 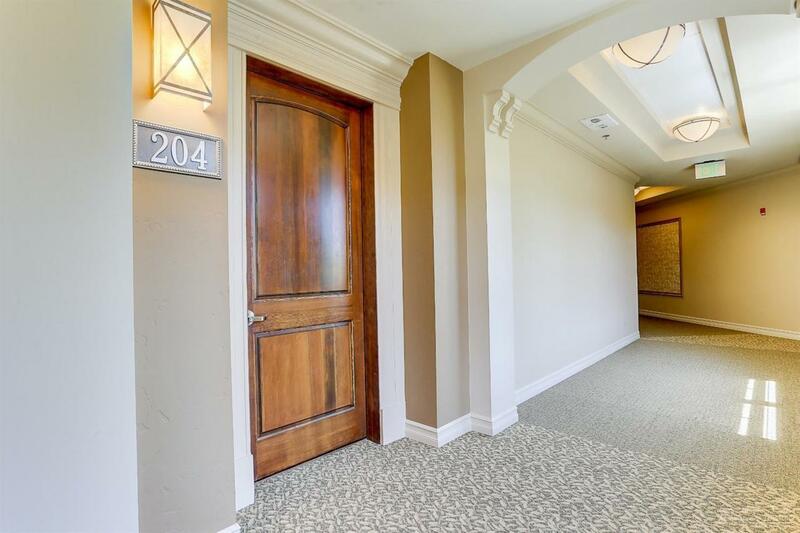 This pristine 2nd floor condo has 2 suites plus a den and overlooks the private courtyard. The master suite has a soaking tub and fully tiled shower while the junior suite has an oversized shower. The dream kitchen features granite counter tops, a large island with eating bar, stainless appliances, and exquisite cabinetry. 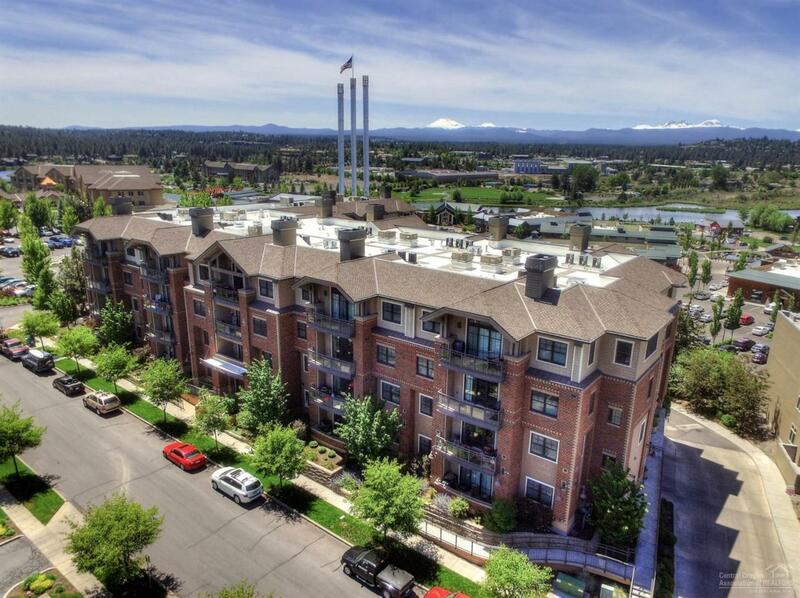 Building amenities include secured access, entertaining room with fireplace, a full communal kitchen, outdoor patio w/Cascade mountain and Old Mill views, elevator, and secured, heated parking garage with 2 deeded spaces and storage locker. 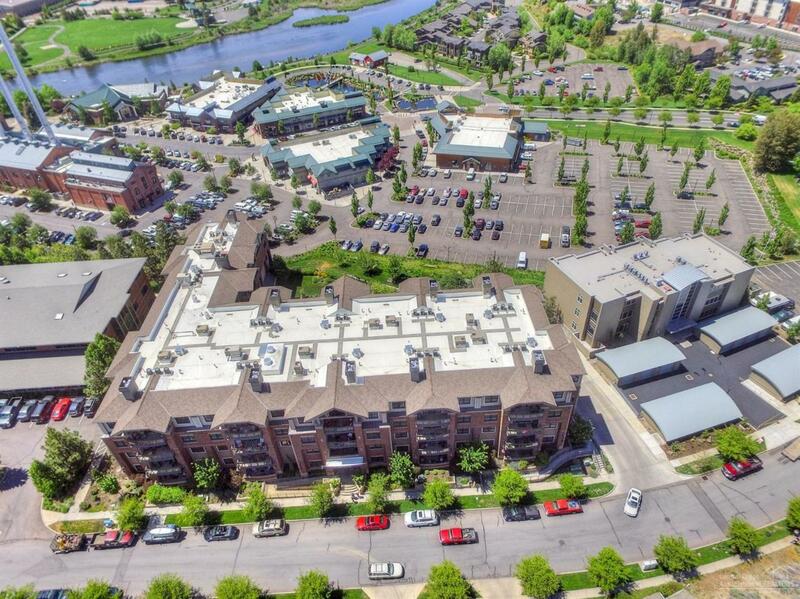 HOA dues cover water, garbage, building/grounds maintenance and insurance, and fitness room. Many of the furnishings are available separately, making this a fantastic vacation property. Bathroom Desc Shower And Tub Tiled Shower Double Vanity Tub Soaking Under Vanity Ltng. Listing provided courtesy of Total Property Resources Llc.